Legal writing is often hard to read because of its specialized language. The technical terms used to convey legal doctrine in statutes, court decisions and business contracts are often refered to as "terms of art." While these terms vary in origin and purpose, they generally fall into three categories: specialized terminology, foreign terminology, and archaic terminology. Specialized terminology refers to words that are specific to the legal profession. Some specialized terms originated within the legal system for the purpose of conveying meanings specific to law. Examples of such terms include: affidavit (a writen or printed statement made under oath), tort (a civil, not criminal, wrong), writ (a written court order directing a person to take, or refrain from taking, a certain act), and litigation (A case, controversy, or lawsuit). Other specialized terms are quotidian terms adopted by the legal profession and given new meaning. Words in this catagory include: motion (a request by a litigant to a judge for a decision on an issue relating to the case), damages (money that a defendant pays a plaintiff in a civil case if the plaintiff has won), and assume (an agreement to continue performing duties under a contract or lease). Foreign terminology refers to legal terms derived from non-English languages. Latin and French are the two most common foreign languages from which words are adopted for law. Examples of foreign terms include: en banc (French, meaning "on the bench." All judges of an appellate court sitting together to hear a case, as opposed to the routine disposition by panels of three judges), habeas corpus (Latin, meaning "you have the body." A judicial order forcing law enforcement authorities to produce a prisoner they are holding, and to justify the prisoner's continued confinement), and In camera (In the judge's chamber, away from the jury and public). In legal writing, archaic language tends to be used to express specific direction within the text without excessive repitition. They are, in essence, phrases condensed into single words. Words such as heretofore, thereupon, and whereabouts are examples of this archaic category of terminology. While these terms were at one time common to the English language, they have since fallen out of common usage and only remain prevalent in "terms of art." Understanding the technical language of the legal profession is the first step to analyzing a legal document as a primary source. See the "Glossary of Legal Terms" page on the United States Courts website for a listing of commonly appearing legal terms and their definitions at: http://www.uscourts.gov/Common/Glossary.aspx#glossaryF. 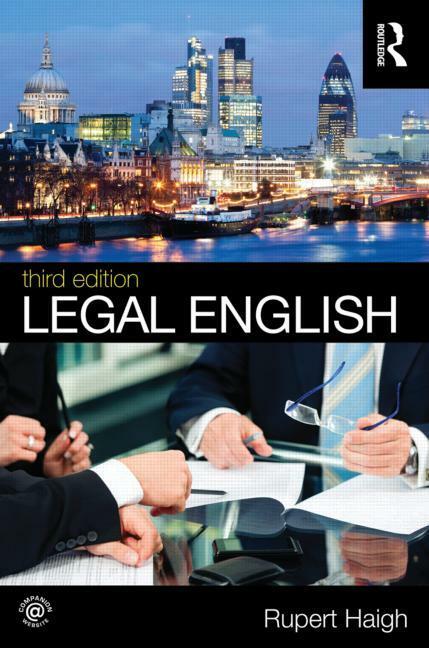 For a full review of legal writing see Rupert Haigh, Legal English, 3rd ed. (New York: Routledge, 2012). To practice working with the language of legal documents, try identifying a few of the "terms of art" in the most recognizable legal document of the United States, the Constitution of the United States of America. A copy of the Constitution, provided by the National Archives, can be found at: http://www.archives.gov/exhibits/charters/constitution.html.